· Cut and clean the fish. · For marination :- add chilly powder, hing powder and salt and make a thick paste. · Marinate this to the fish and keep for at least 30 minutes. · Then add rice flour to the marinated fish and coat evenly. 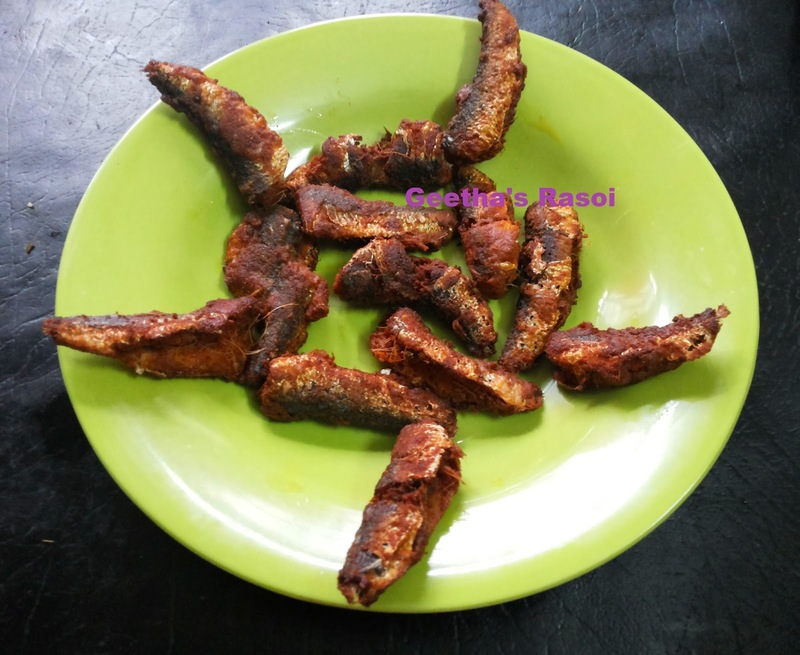 · Serve hot with steaming rice and sambar.